This is a lovely 10x10" square plate, created in my glass workshop. It is 1/4" thick and features "swooped" corners, and is embossed with daisies. It would be a fantastic plate to display, but is perfect for serving as well. 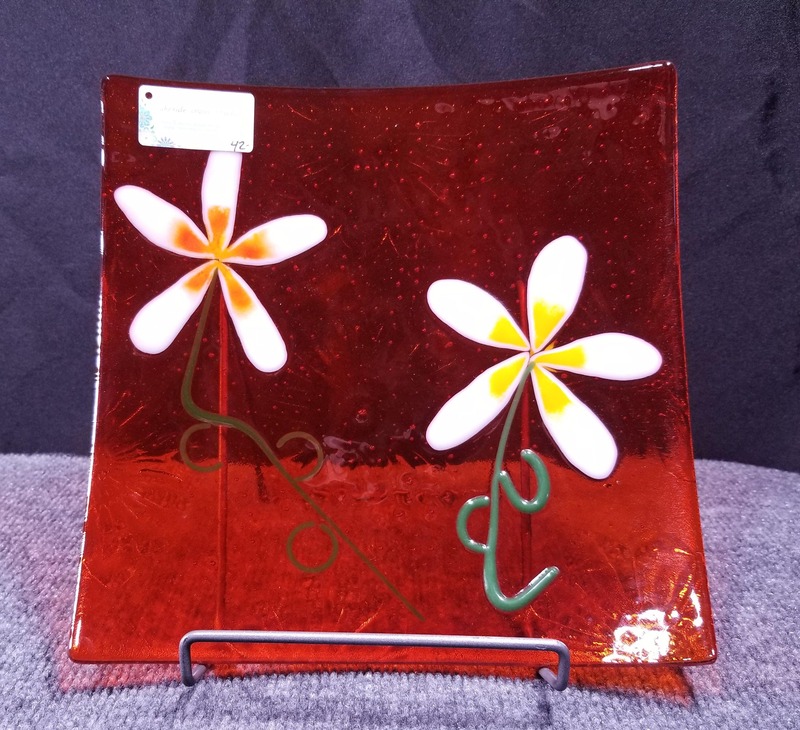 A similar plate I made was featured in the 2017 Slumpy's glass mold catalog.